I really like your hugelswale design. Please post more photos as it progesses. 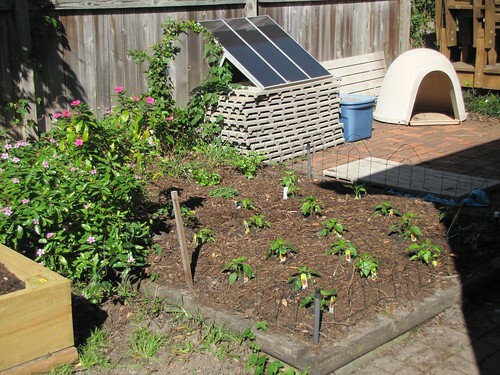 What are you hoping to grow there (annual veggies, perennials, or shrubs)? 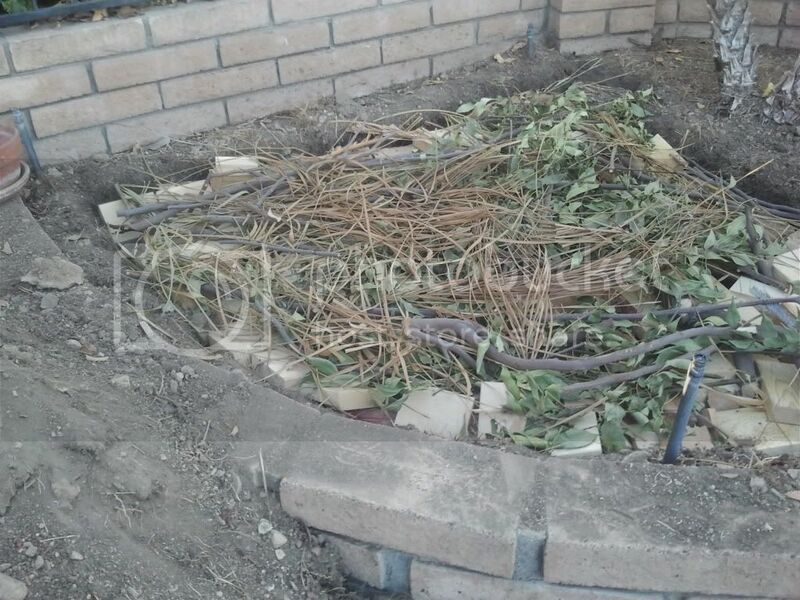 I've completed my hugelkultur bed and gotten the first plants into the ground. 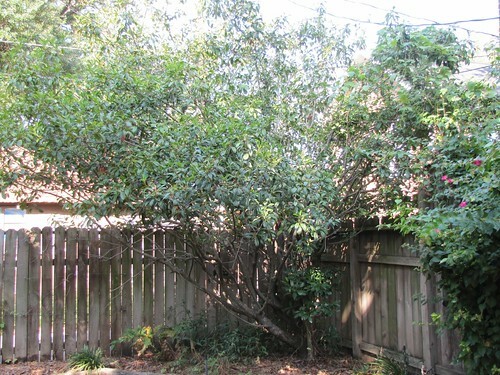 This project started out as "cut down that damn overgrown bush/tree in the back yard, honey" and turned into a hugelkulture bed. So here is the tree. 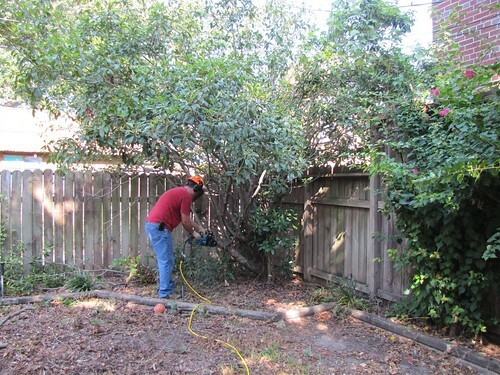 Here is the damn stump that I had to dig and cut out. 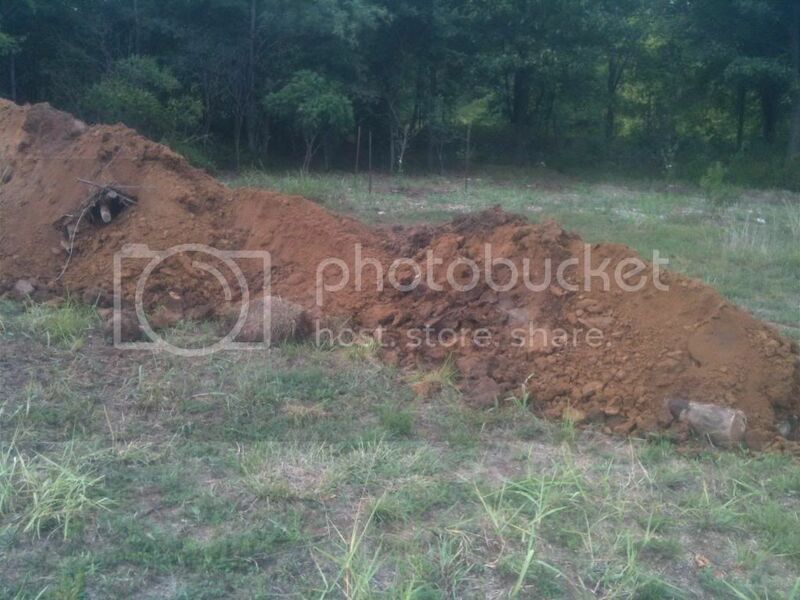 Here is the five foot by nine foot by five foot deep trench I dug to bury the stump and limbs. That is Jake, the survival yellow lab (critical buddy!). 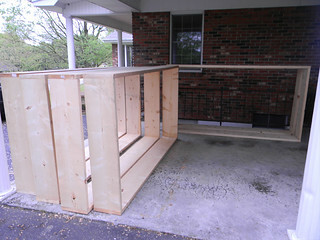 Here is the completed 4 ft by 8 ft bed above grade. This is my other bed built by the previous owners. I have peppers, onions, oregano and cilantro planted here with a blackberry bush that I planted last year. You can also see my 45 watt solar project with a tote that houses the charge controller and deep cycle battery. 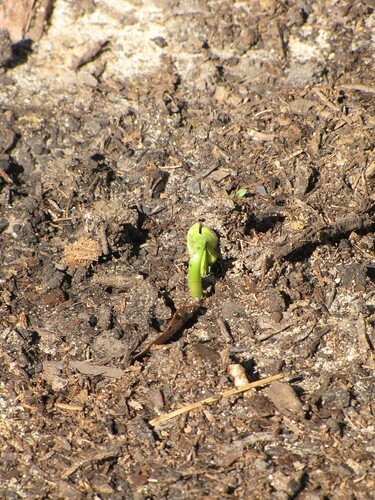 I planted bush beans in the hugelkultur bed and they are poking out of the ground after one week!! I will plant the other half of the bed in a week so I get staggered production. Frankly, I cannot wait until the first crop produces! So, we will see how the crops grow. 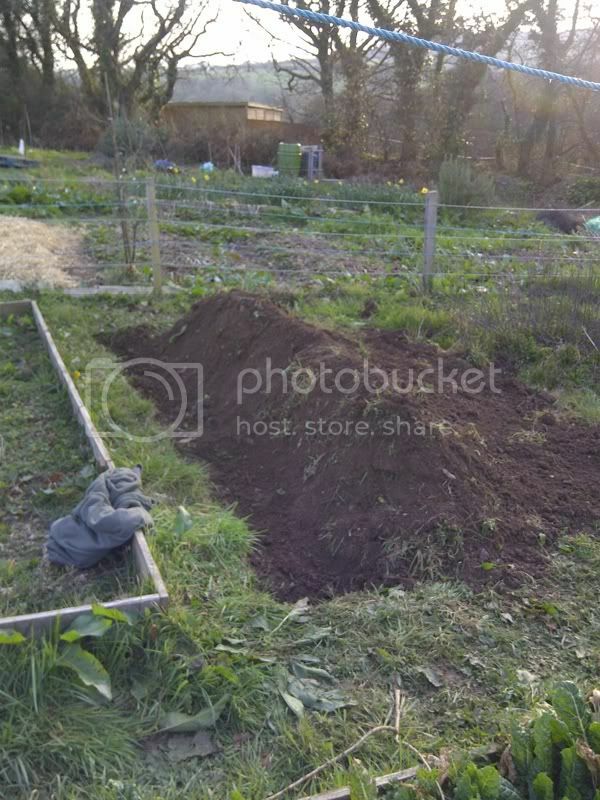 Well in my normal way of just jumping in and doing stuff without actually knowing what I am doing here is what happened today at the allotment. Although it was a beautiful day there were not a lot of other people at the allotment today to ask me what I was up to due to the fact that there was a rugby match on the telly so while I was up to my elbows in soil and funky wood the rest of the population was shouting at the telly with a beer in their hands and not shouting at me for putting wood in the ground. After about a minute of beard rubbing I finally said to my wife "Is it OK if I put a hugelkultur bed here?" "A hugel what!?" "A raised bed" " I suppose so" I set about attacking this otherwise unused part of the allotment. We have pretty shallow top soil on this site so I dug a trench down until I hit the shale subsoil. 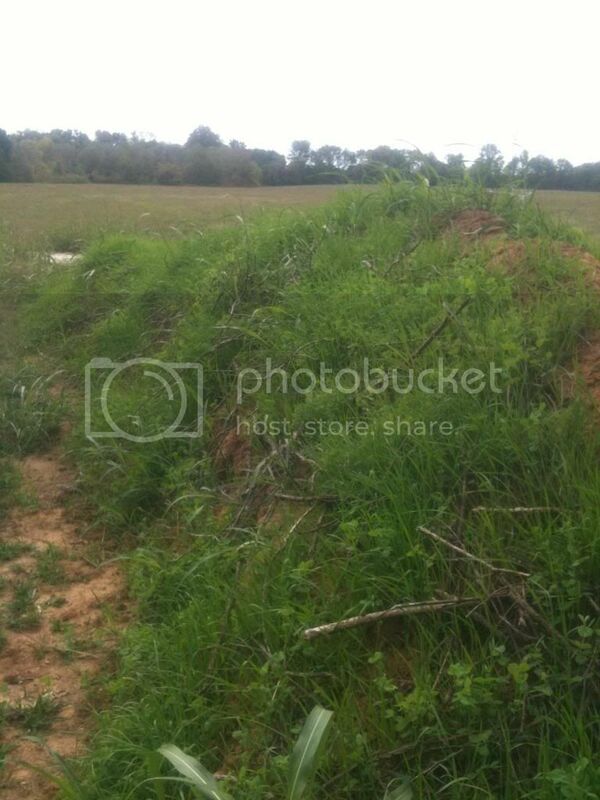 The trench is about 2 foot wide by 1 foot deep and about 10 foot long. Then I started laying in the bigger bits of wood. And carried on until I ran out. 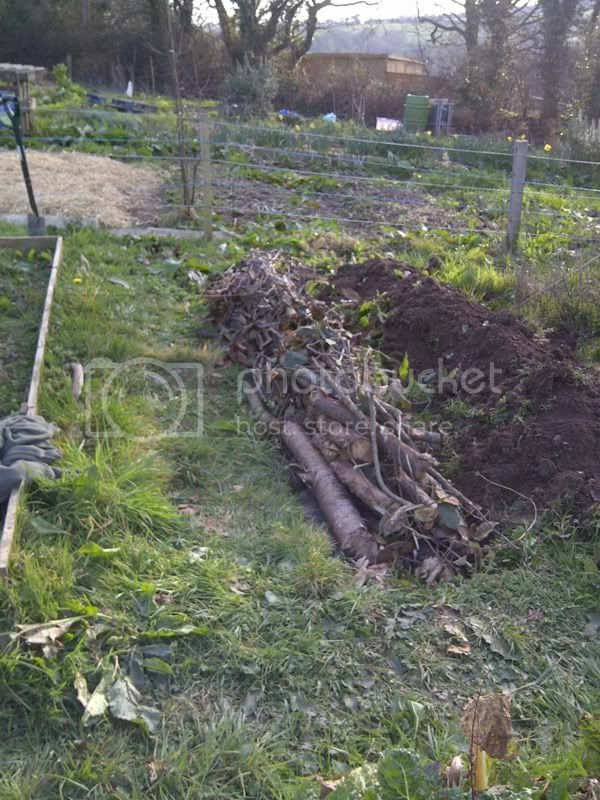 I turned the turf over on top of the pile of wood ans started shovelling the soil from the trench. 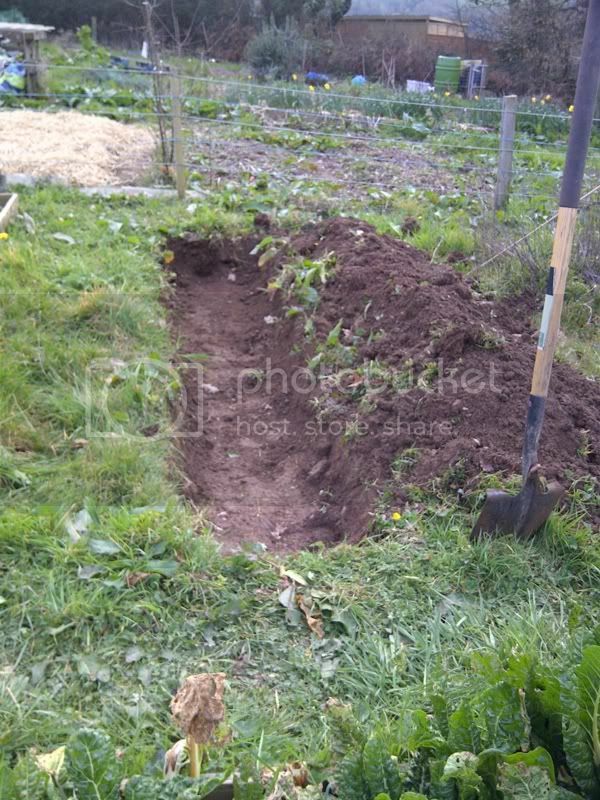 I then shovelled the soil from the original trench on top. 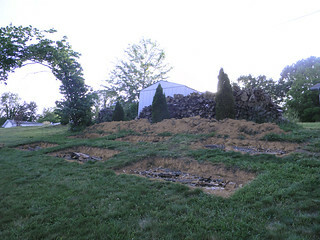 The resulting bed is now about 2 foot above ground level AND 3 foot above the bottom of the up hill trench. 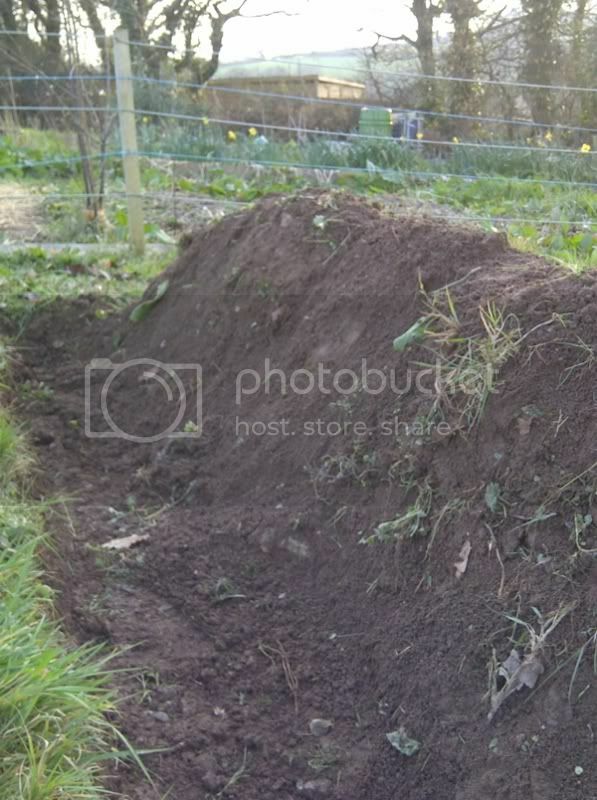 I still have a bit more soil to drag up over it and i have a load of composted material that i could put on top if need be. I added hugelkultur raised bed in front of my hugelkultur swale. Everything is coming along nicely. Just finished up a few weeks ago. I'm planting perennials and herbs and seeding with nitrogen fixing plants. That looks really, really good, Nico. Anything planted, yet? I have Tomatoes, Peppers, Squash, Cucumbers, Beans, Corn, Sunflower, Carrots, Radish, Watermelon, Cantaloupe, Pumpkin and a few other things I can't recall at the moment. 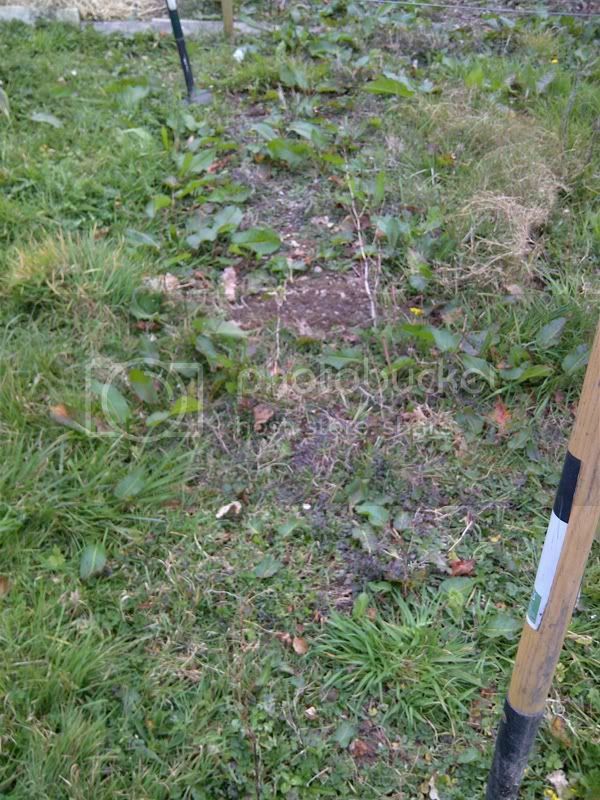 I thought I'd share my first real attempt at a hugelkultur swale on contour bed. This bed is 6x16 with a 2' peak. 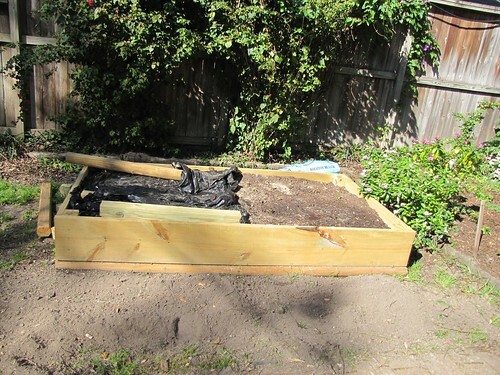 Each side is 4' long from ground to peak making the plantable surface area to be 8x16 thus increasing the surface area due to the mounding of soil as opposed to the normal flat garden. We have 6 - 4x4 beds (96 sqft). This 6x16 (96 sqft) which is actually closer to 8x16 due to the mounding effect is more like (128 sqft) - you can feel free to correct my math this is all estimation anyway. I can't wait to see how it performs over the next few seasons! thanks Nicodemus! i did some beds similar to yours but not nearly as well thought out. yours are awesome! My start to a few hugel rows. Falling_blue, that looks really good. I wish I would have made mine longer. My next one will be! BTW, we've been in extreme/exceptional drought conditions here in central Indiana. 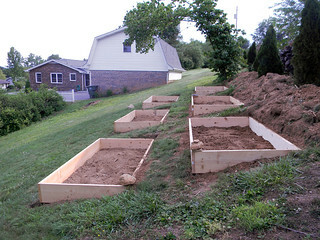 We've been watering a few times a week though, but this HB has performed way better than the other six raised beds. I need more fresh compost to finish this row. It already looks a lot different with all the tall grass cut down around it and the overgrown row behind thinned out. Got the fall garden in what was in the pic and is going well. 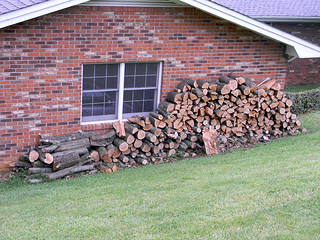 I am probably over watering at the moment but want to make sure the logs are soaking up water. 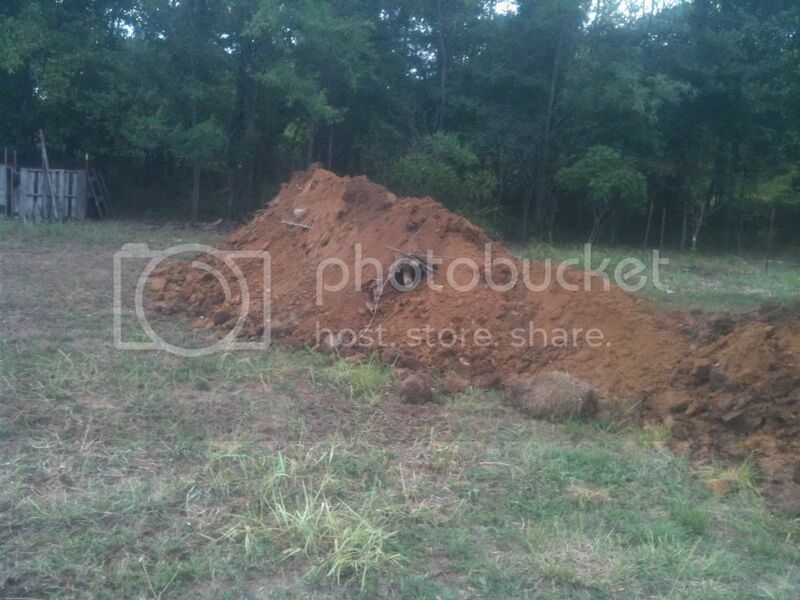 The compost that I planted in is good seasoned horse manure and most everything is popping up. Didn't have good germination on the lettuces but it might have been too hot outside. I haven't mulched yet but I think I will need to, even as much as I am watering, the top layer of the bed is pretty dry. Also while watering I do notice some erosion so I tilled up around the bed and planted cover crops at the base and up a little on the sides. Here is my Western style Hugelkultur bed. 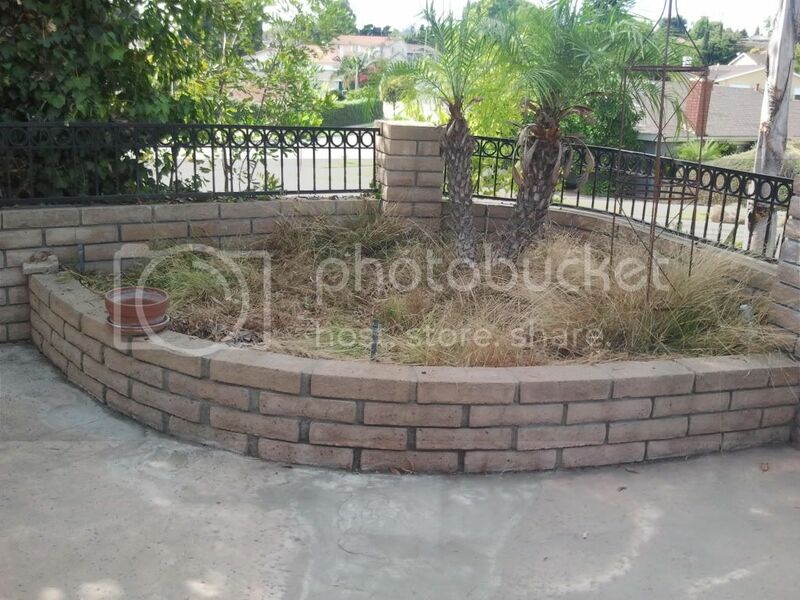 I have very limited space, (my back yard is a 34k swim pool) so I had to use a planter is the front yard. I kept the pigmy palm because the wife wants a tropical landscape. I basically dug down one foot and leveled the ground. 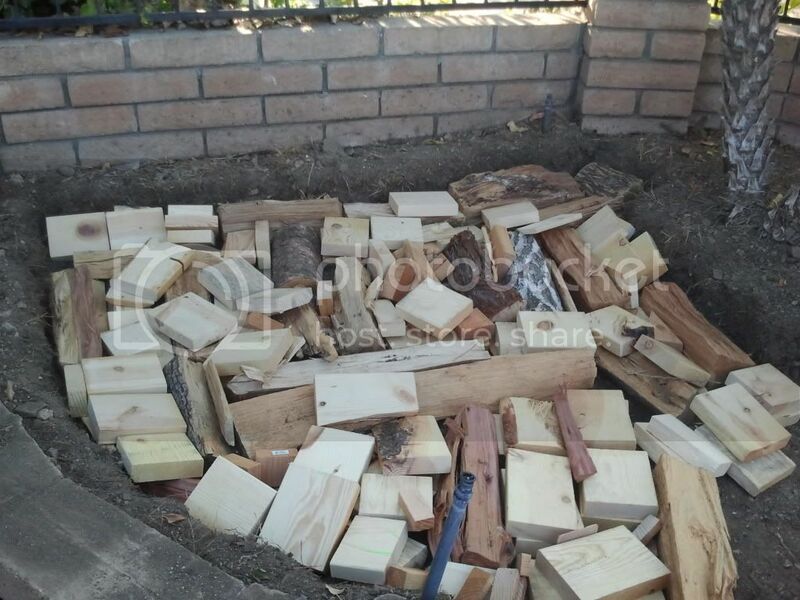 I used season firewood, pine pieces I picked up a pallet making factory (free), tree trimmings, cardboard, and some shredded palm tree pieces. 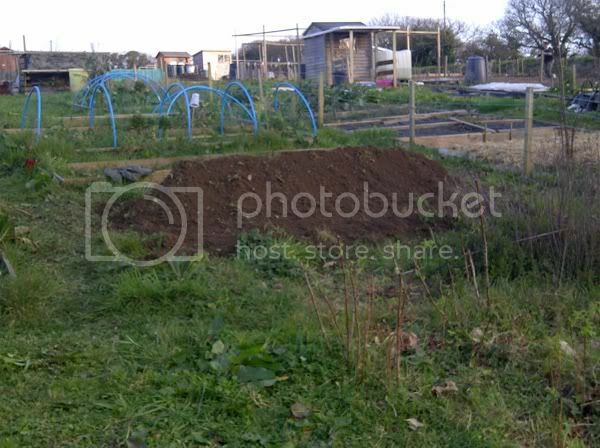 I then put the old topsoil on the cover everything. 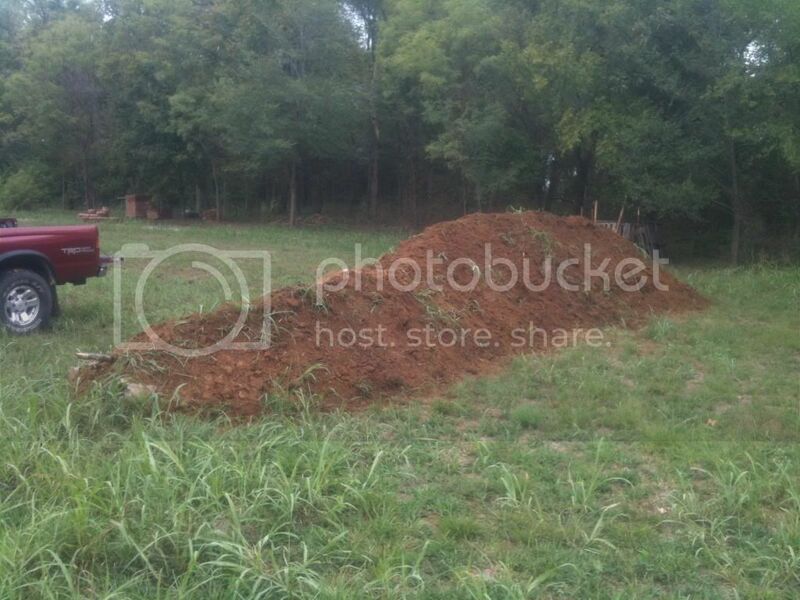 I found a place that boards horses and picked up free compost from the there and cover the planter about 5 inches deep. After two days I added some top soil I picked up at Home depot. 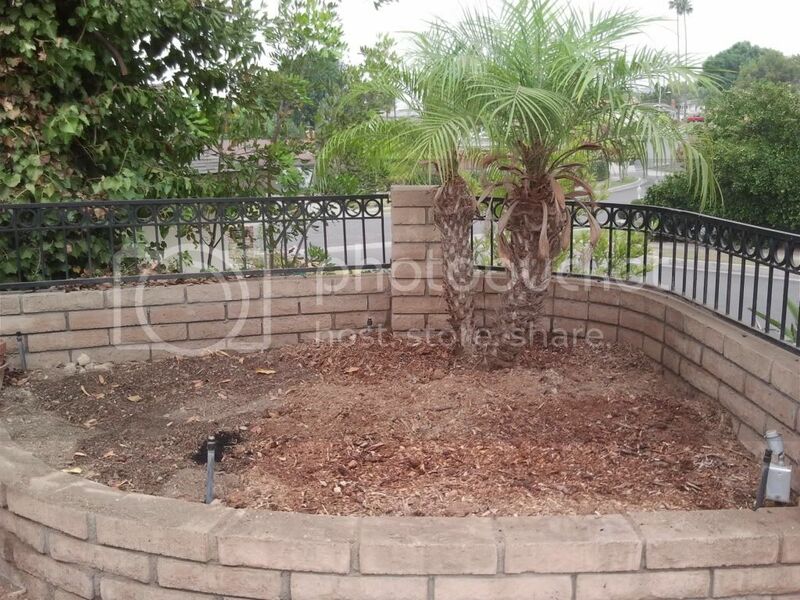 The planter material cost was $14.00. 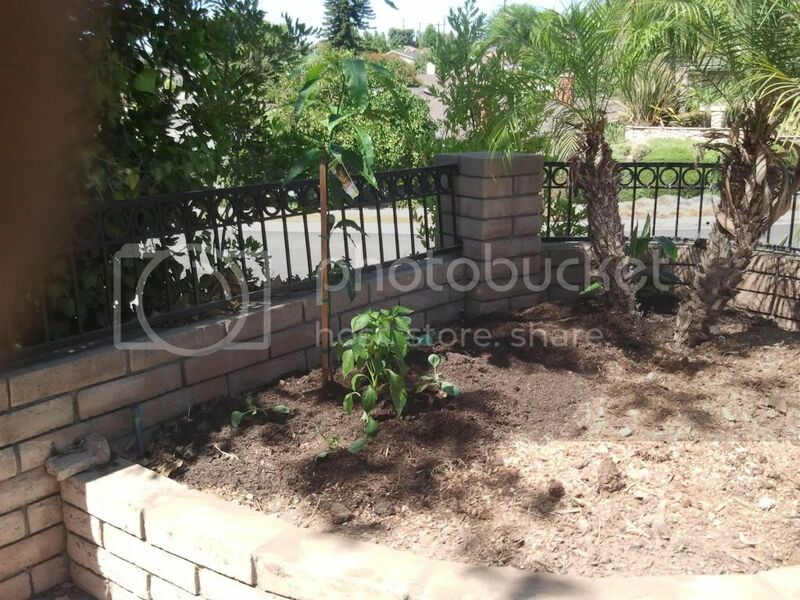 Since then I planted a mango tree, sweet pepper, and Cabbage starter plants and a peace lily (for the wife). I'm going to be plant some Radish and Bell Pepper seeds but I have been waiting because it has been it the 90's the last two weeks. 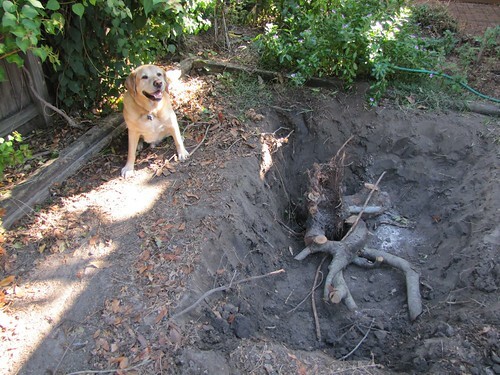 I am wondering if I might have put down too much wood and not enough dirt. 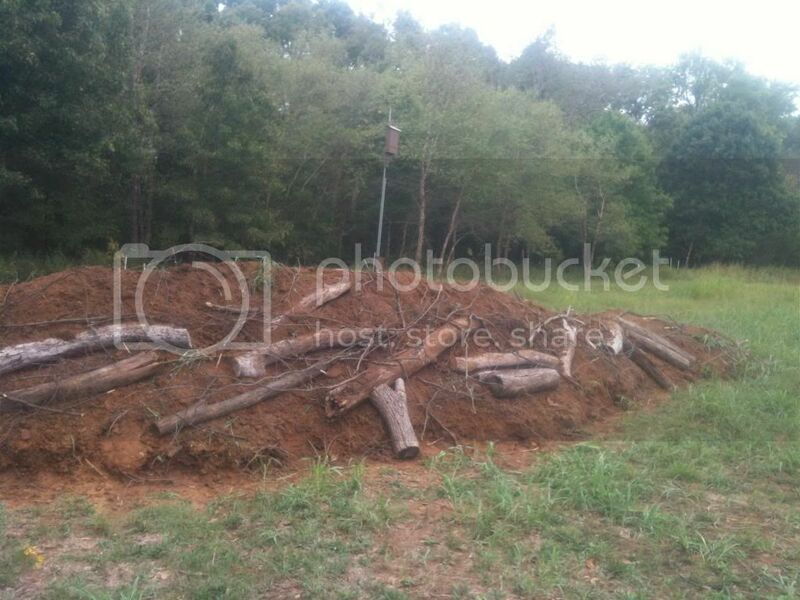 I think I tried to put down 18 inches of compost dirt on top of the wood, but it might have been less in some places. 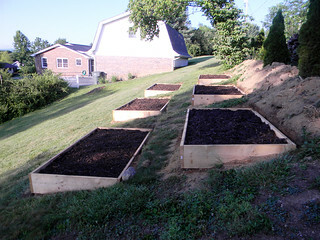 I got raspberries on one bed, some beds didn't do much yet, but I didn't try too hard, just threw some seeds on there. I may increase the amount of dirt in a couple of areas. 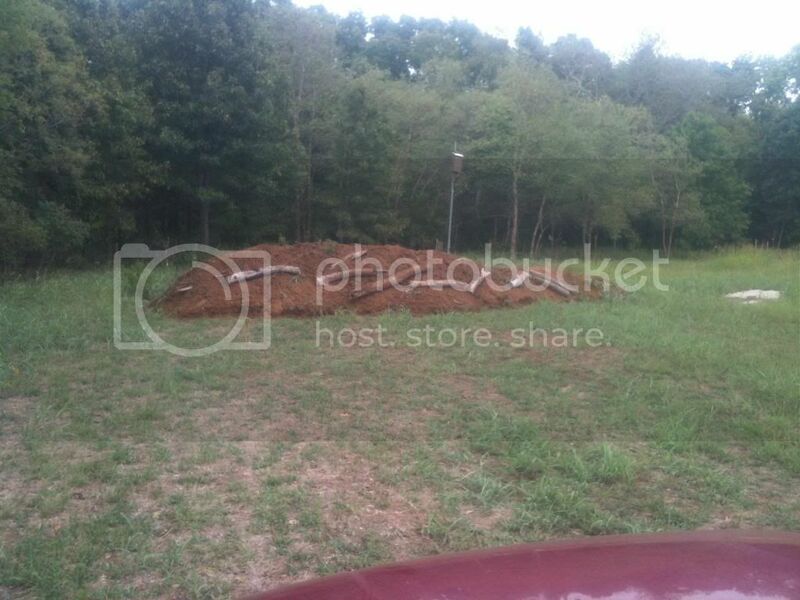 It seems like other people have about as much dirt as I do though from some of the pictures .. I think I heard Sepp Holzer said people often use too much wood, any thoughts ? If you look at Masanobu Fukuoka's work ('One Straw Revolution', etc. 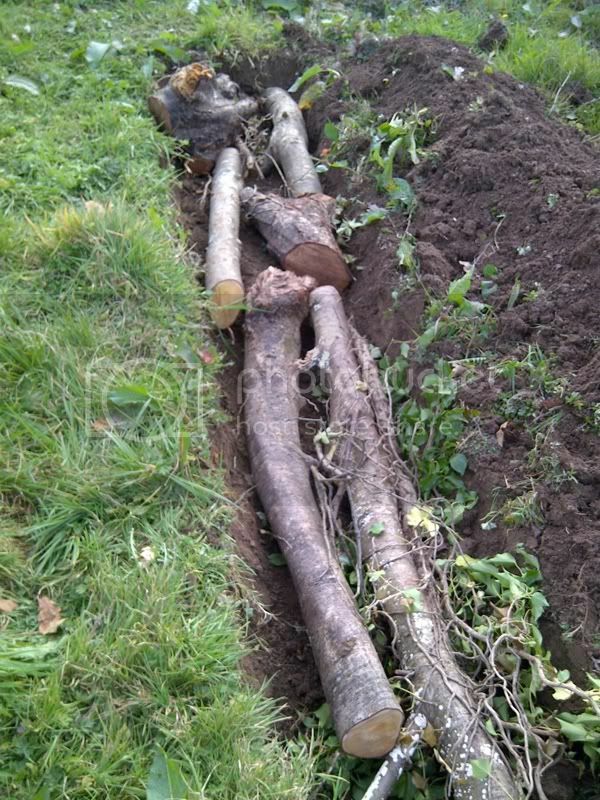 ), he states that burying logs only removes Nitrogen from the soil, and that they take years to break down, during which time anything grown on the land will be less fruitful. 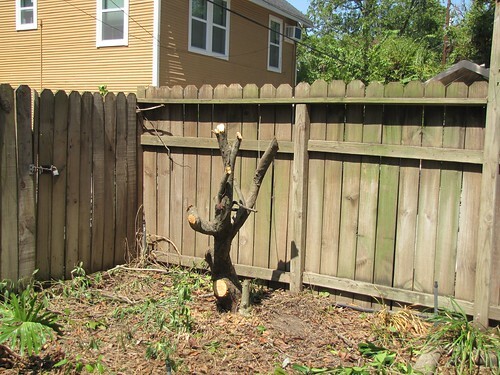 Better to chip the wood and spread it over the area in order to help conserve water and feed the soil slowly. Go to any thriving forest. 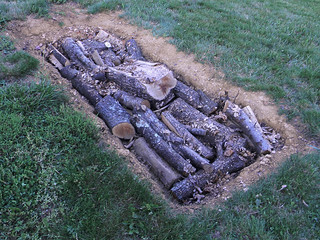 Are there buried logs? What there is is a litter of leaves and other organic material on top of the ground that encourages and maintains healthy soil development. Hope that helps. yeah. argue that with sepp or paul. good luck. Very cool thread, y'all. 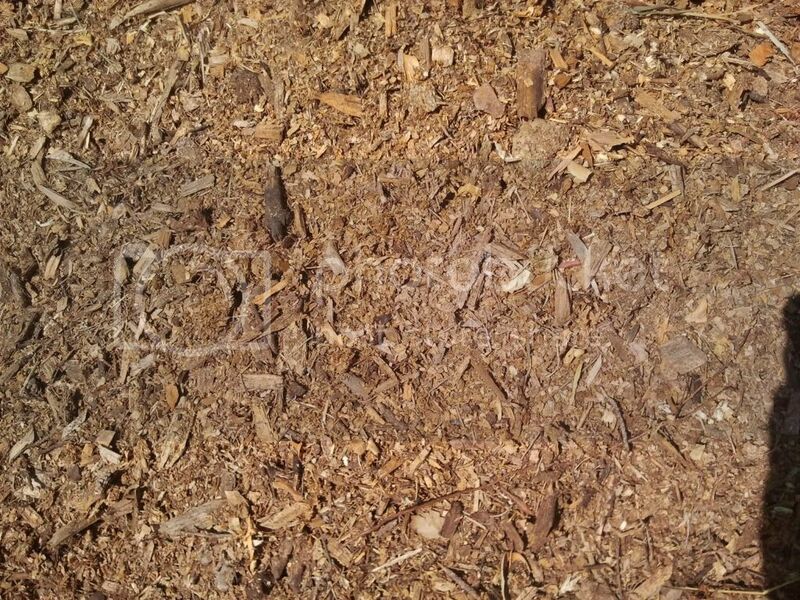 I've been using extra soil from my basement ("My Tiny House" thread goes into detail) and have built a Sepp Holzer-inspired hugelkulture bed too. 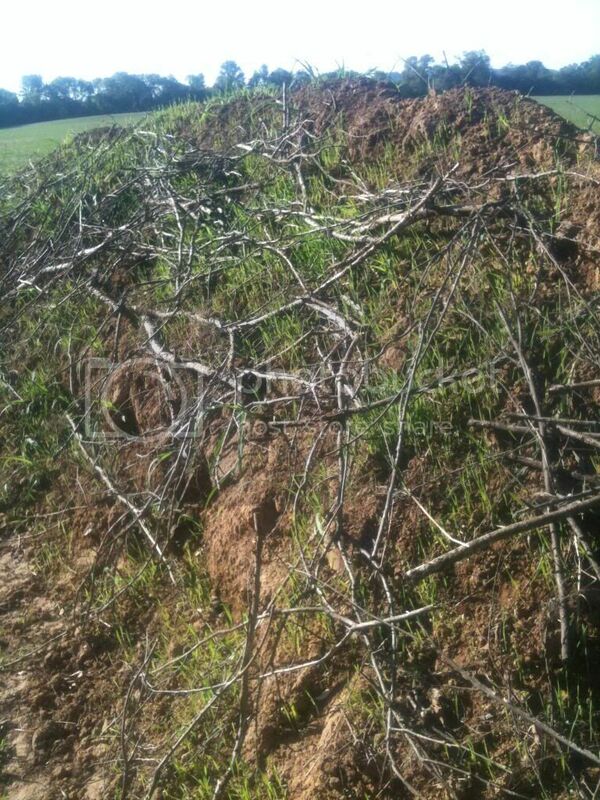 Instead of digging I decided to build up. 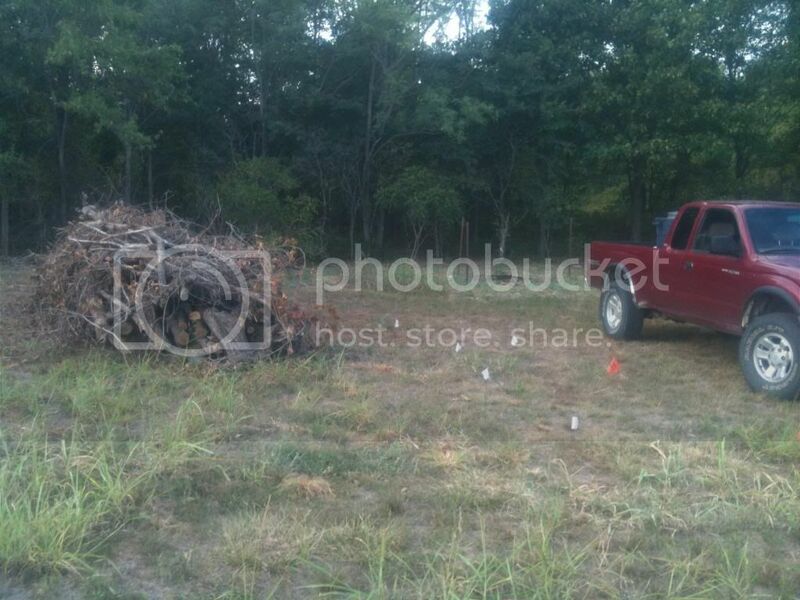 I eventually added logs past the location of the truck. I later added composted horse manure, more soil, more debris and then threw some deer attractant mix on top to stabilize and add nitrogen via leguminous vegetation. Here's an update on my first raised bed and now another one i'm building that is bigger and has much more of a reservoir to hold water. 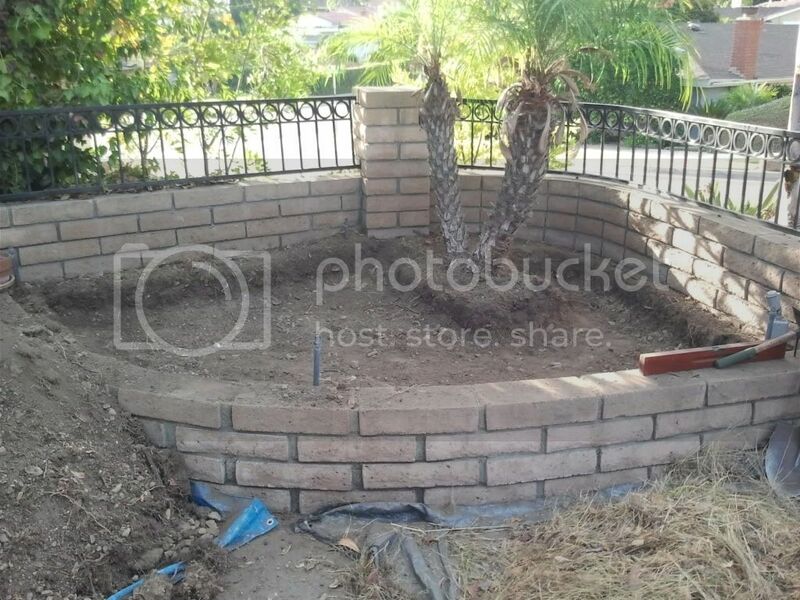 This a keyhole garden I built. I apologize for the links but I can't figure out how to insert an image. This thread is giving me great ideas! 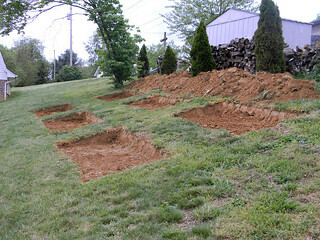 Here are more pictures on my garden experiment at http://libertygarden.us/.